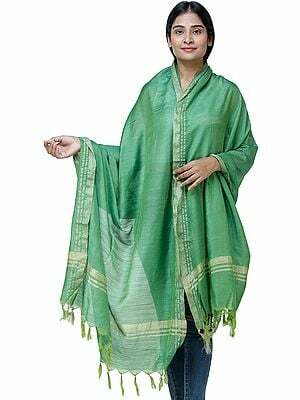 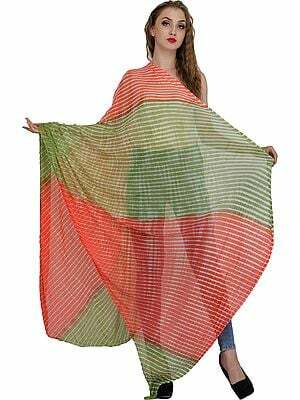 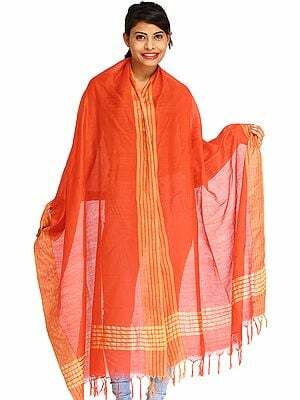 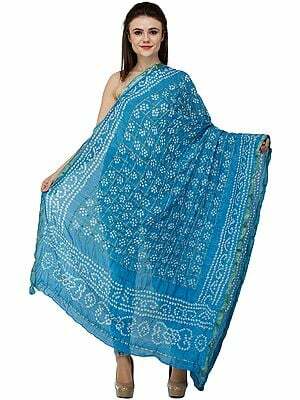 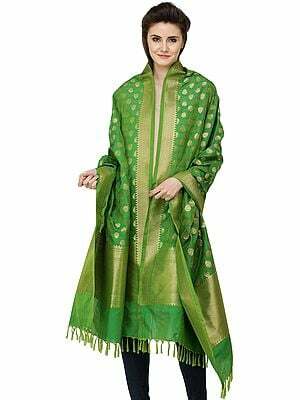 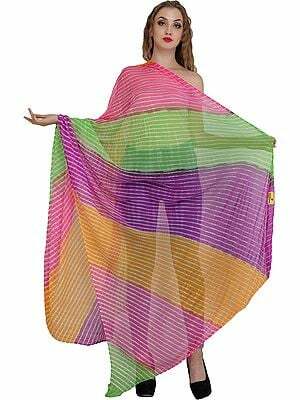 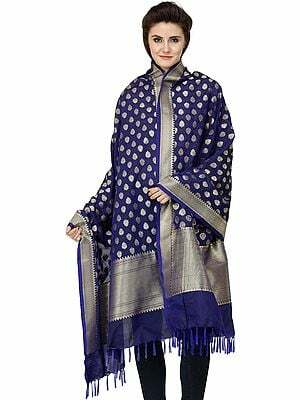 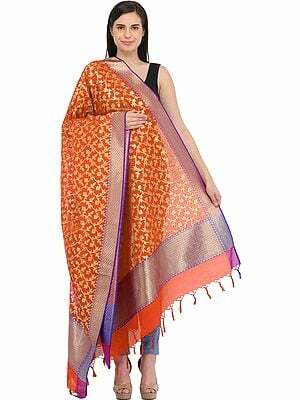 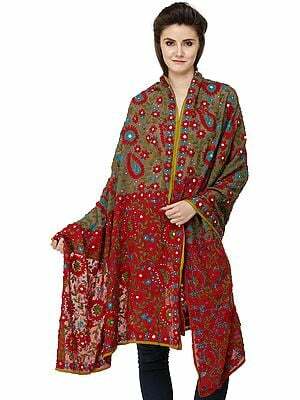 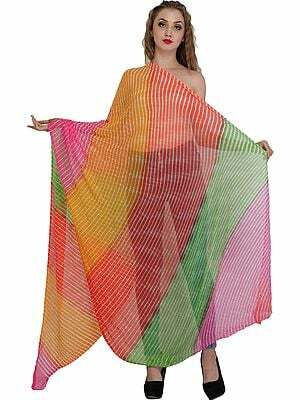 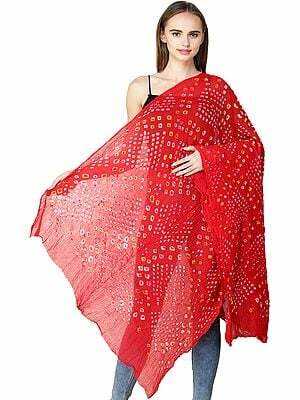 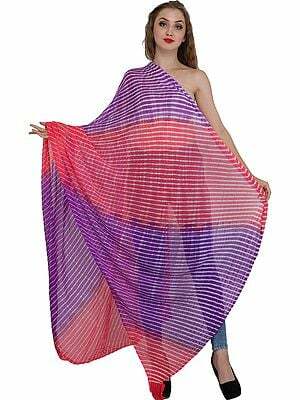 Dupattas complete a woman's wardrobe. 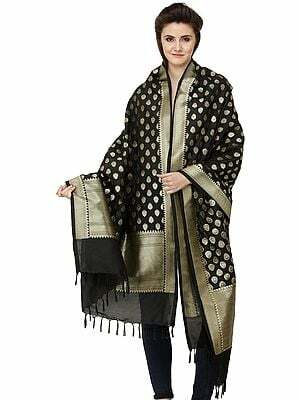 If you have a love for ethnic dresses, especially Indian suits, indulging in a collection of statement dupattas is a must. 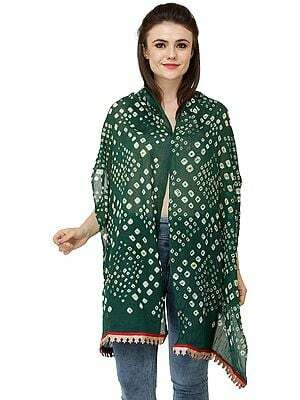 In this section we have put together a collection of dupattas handpicked from the looms of local textile artisans, which makes each piece one of a kind. 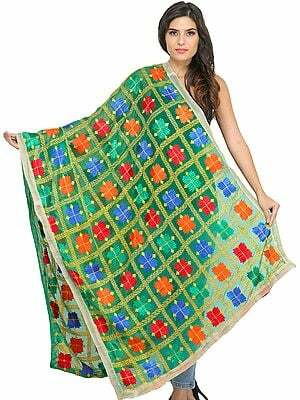 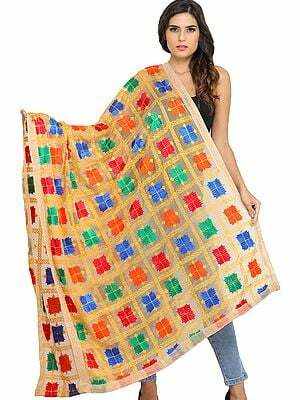 Each of these dupattas feature a dye or an embroidery or both that give away the region where it comes from. 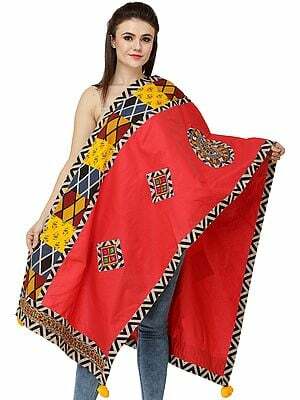 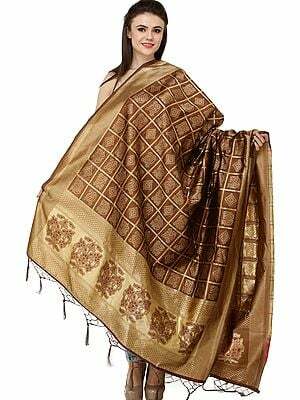 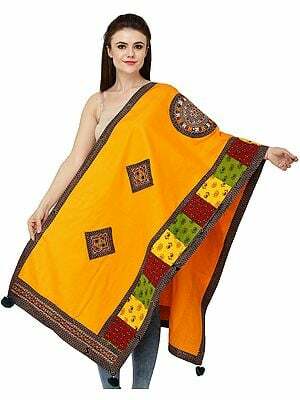 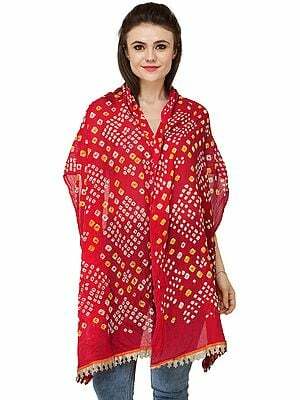 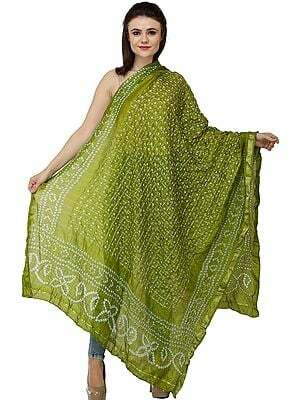 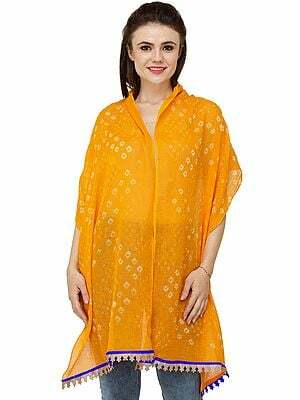 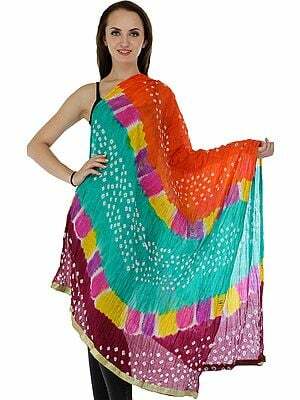 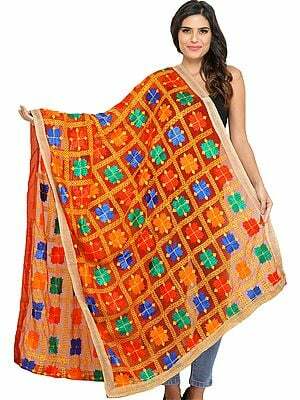 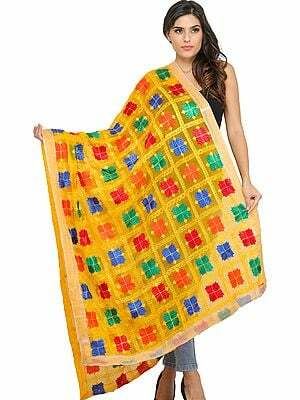 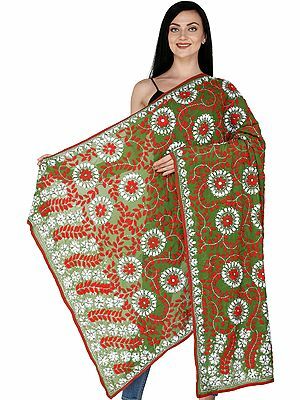 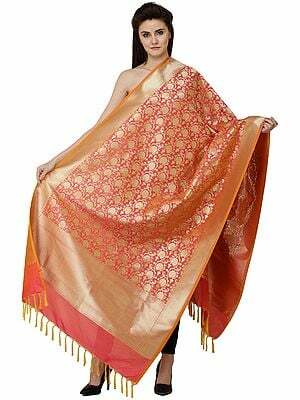 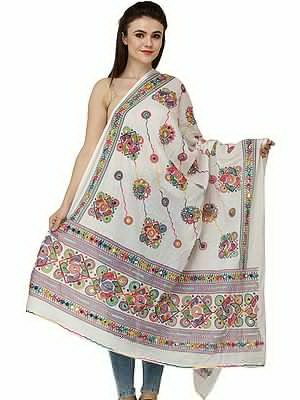 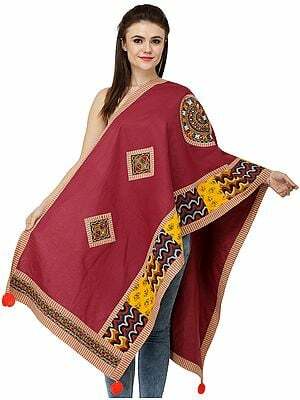 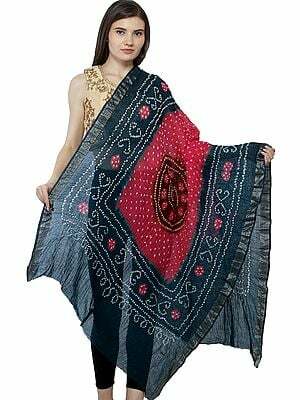 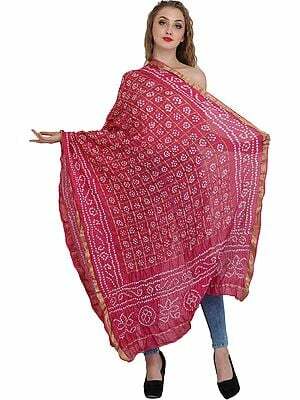 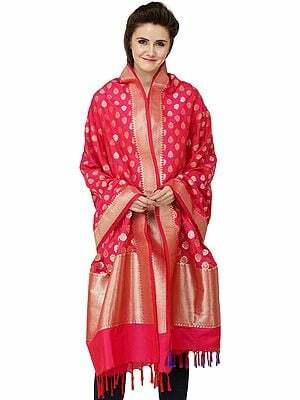 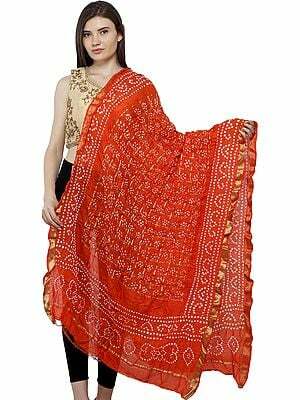 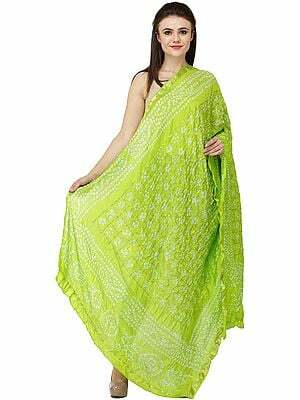 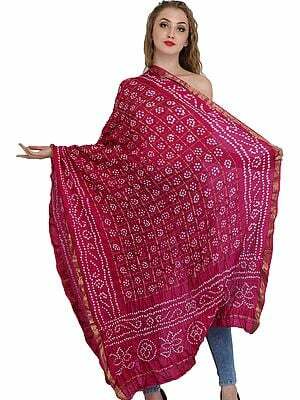 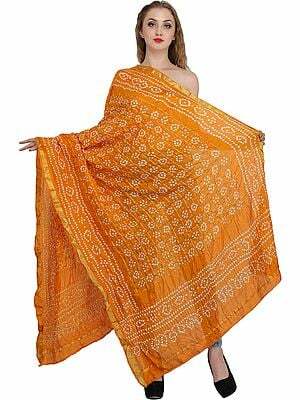 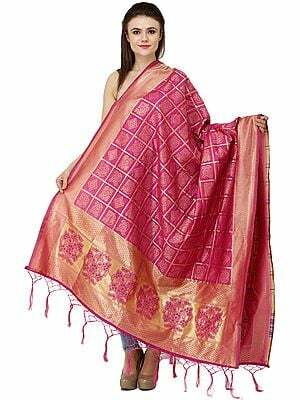 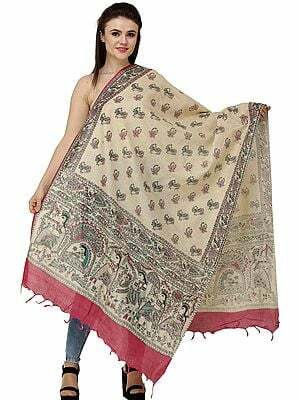 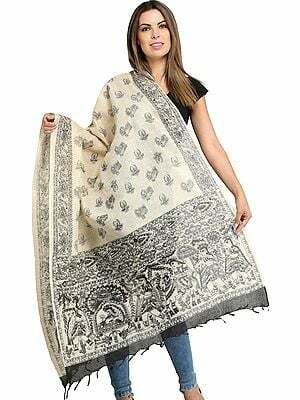 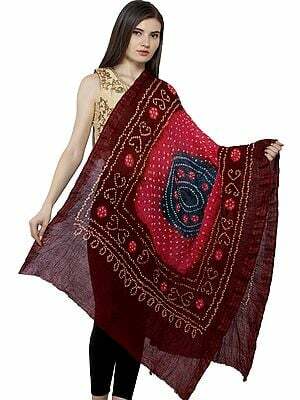 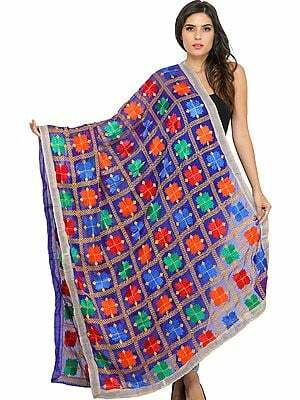 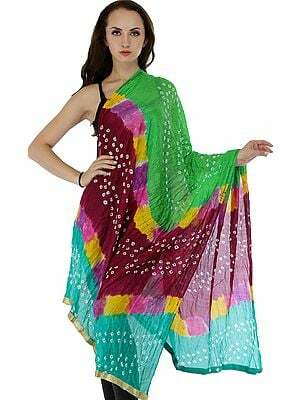 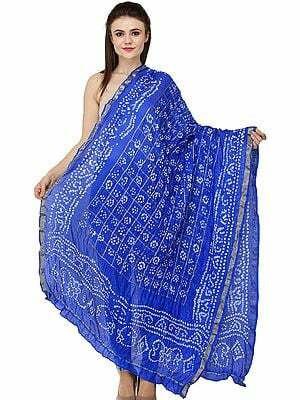 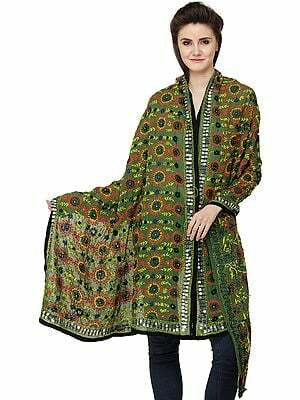 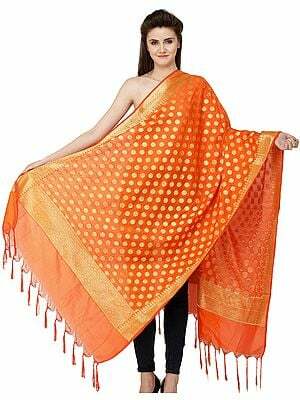 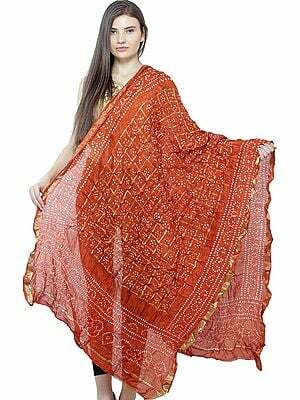 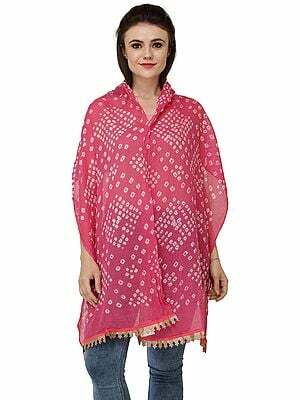 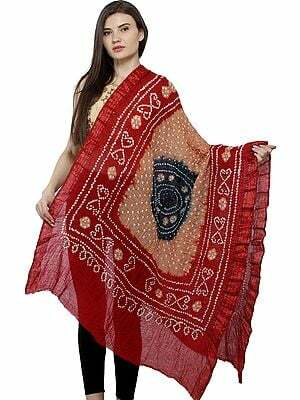 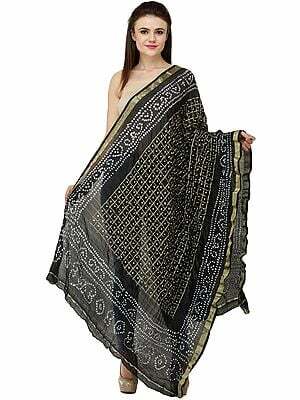 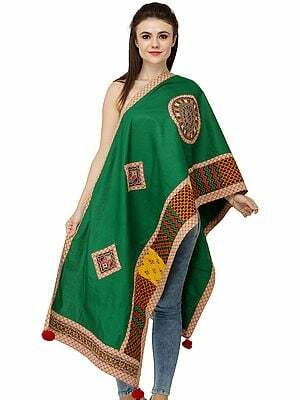 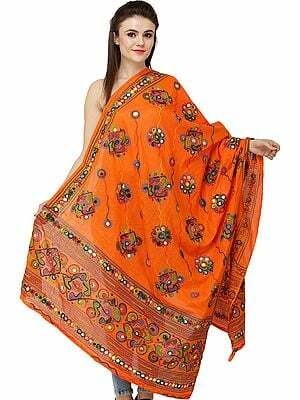 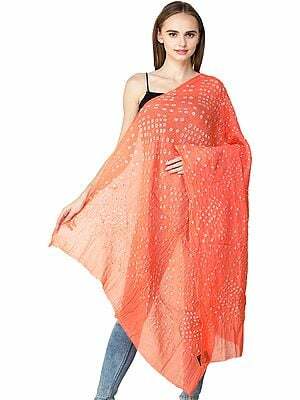 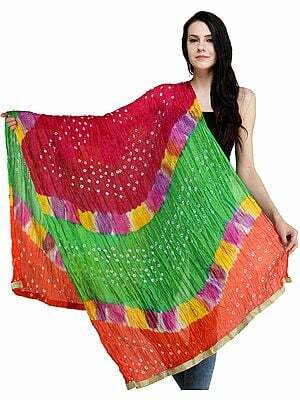 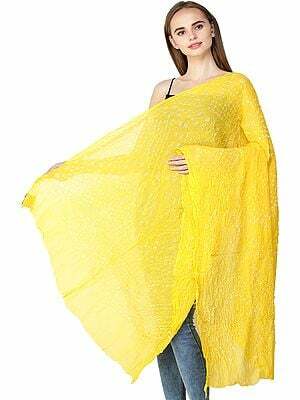 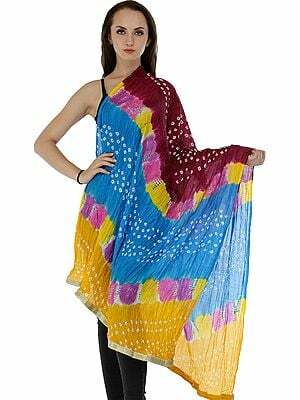 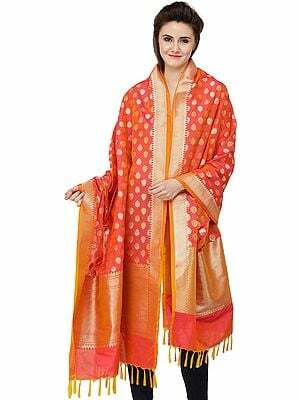 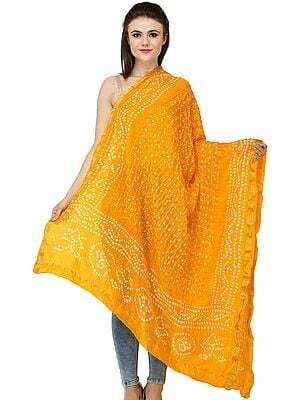 For example, we have flirtatious phulkari dupattas that have been made in Punjab, bandhani dupattas and gota-woven ones from Rajasthan, handwoven dupattas featuring weaves and zariwork that could belong to nowhere else but Banaras as well as Lukhnavi chikankari dupattas. 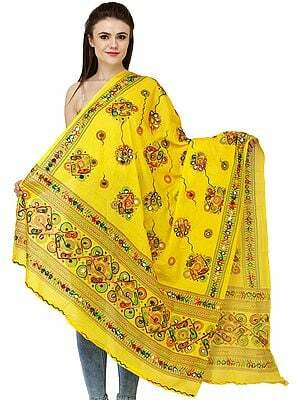 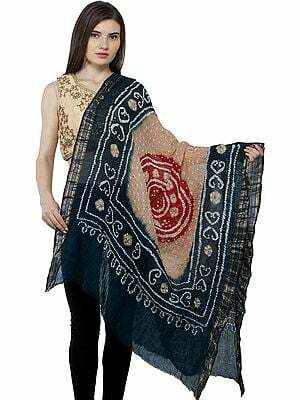 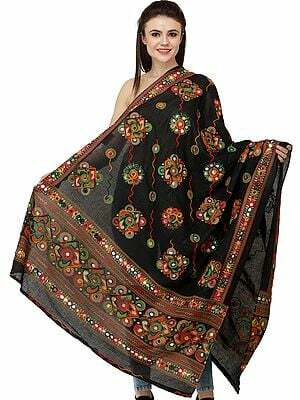 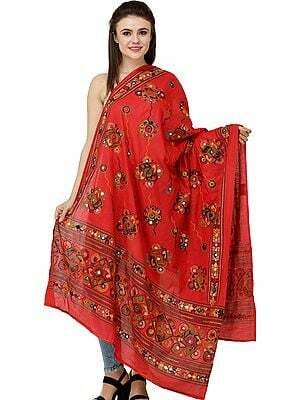 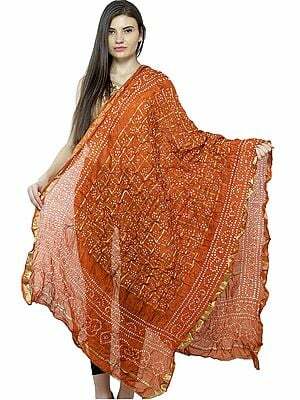 Some of these come printed with eclectic motifs that mimic ethnic dyes and embroideries. 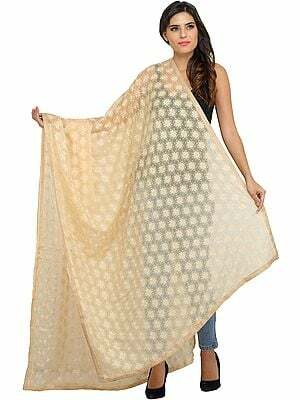 Choose from a palette of unusual pastels, gorgeous metallics, and unputdownable neutrals to go with a wide vareity of Indian suits and kurtis. 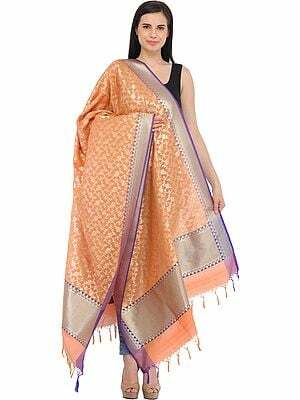 Each of the dupattas that we have curated to go into our collection are long and luscious, and such are the colours and embroideries that the dupatta alone could make a statement.